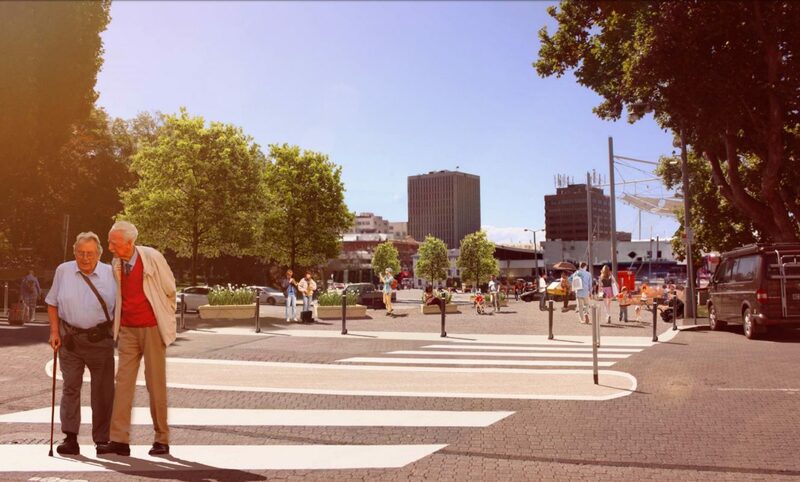 The City of Hobart has started work on its project to close the road that extends from Montpelier Retreat to Castray Esplanade in Salamanca and open the area to people walking and riding. The road will be replaced with a plaza that cyclists will be able to use to cut through between Salamanca Place and Castray Esplanade, but it will be a shared zone so only slow speeds. The one-way road around the Parliament will be converted to two-way so anyone who wants to ride faster than shared path pace throught the area can do so on the road. The project also involves installed some more bicycle parking hoops in the new concreted sections. 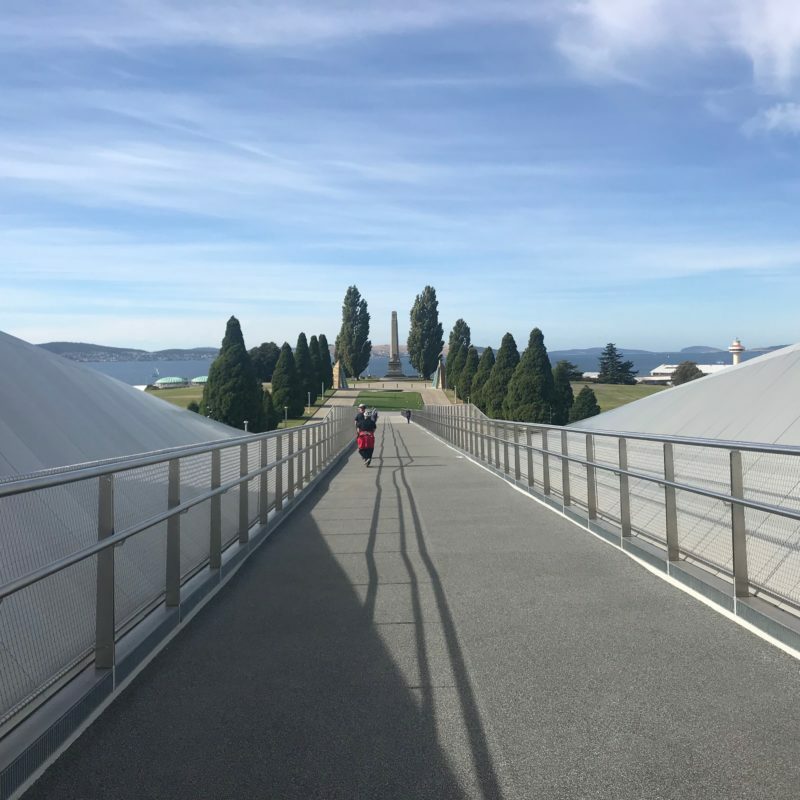 The new Remembrance Bridge across the Tasman Highway in Hobart is open and ready for you to try out, complete with inbuilt pathway mini speed humps. Most riders will continue to use the underpass and footpath on McVilly Drive as it's more direct, but the bridge provides an interesting outlook and delivers riders at the same spot outside the Aquatic Centre. Connections to the bridge are obvious on the Cenotaph side, although less so on the Aquatic Centre side where riders have to snake around to use the lower footpath towards the city. We haven’t seen any plans yet for the connections to the new Brooker Bridge, which is currently being constructed around the corner. 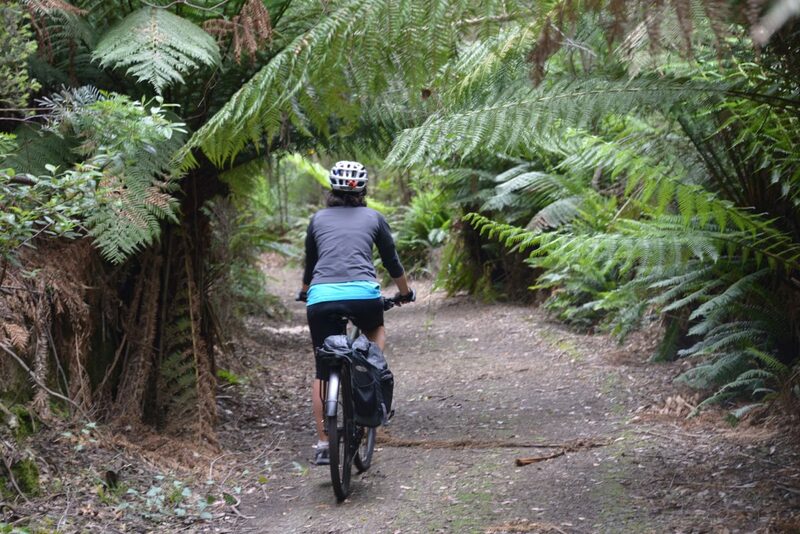 The extension of the North East Rail Trail is still the subject of a parliamentary inquiry, but you can show your support for the current trail in the Annual Run and Ride on Sunday 18 August. There are three options for ride length: 7 km, 18 km or 54 km, all leaving at 9 am from Scottsdale. If you register for the ride before 17 April you’ll get the early-bird entrance fee price of $30. The running section of the event will be held on Saturday 17 August. Repairs to the retaining wall along the Hobart Rivulet Path, which collapsed after last May’s flood, will begin next week. The City of Hobart predicts the repairs will take about two months. 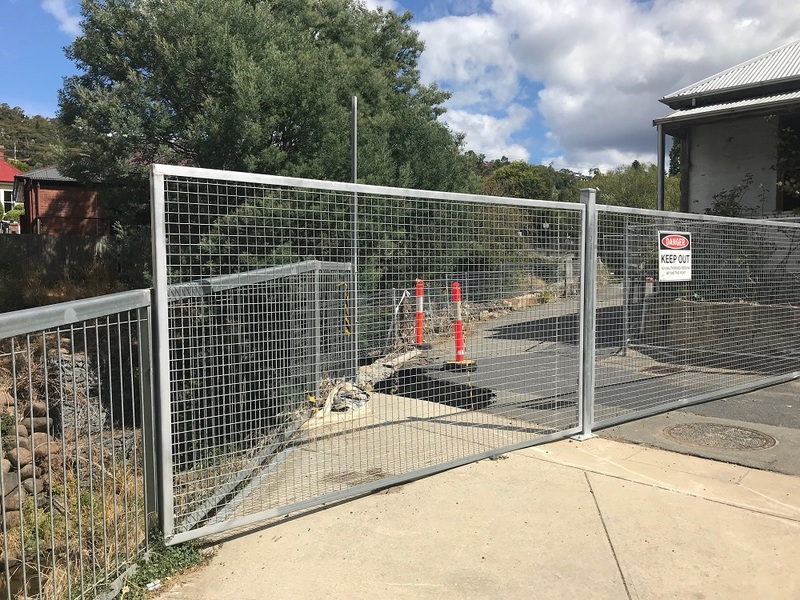 The Hobart Rivulet Path has been closed at the Cascade Female Factory since the flood, with cyclists having to use narrow side streets to detour around the path.